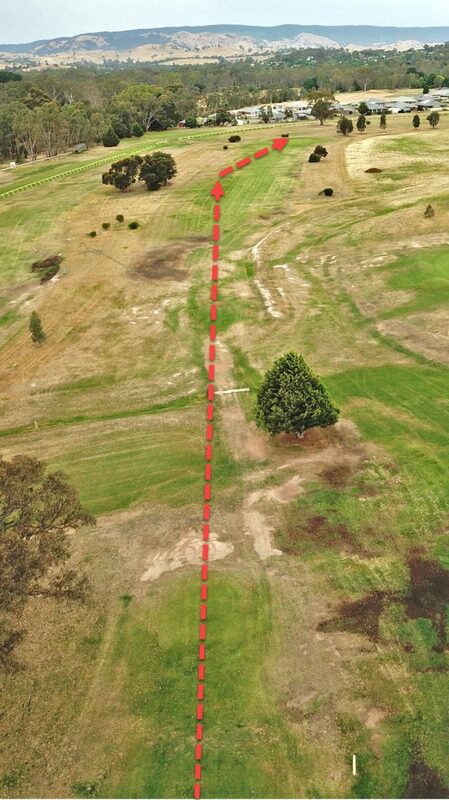 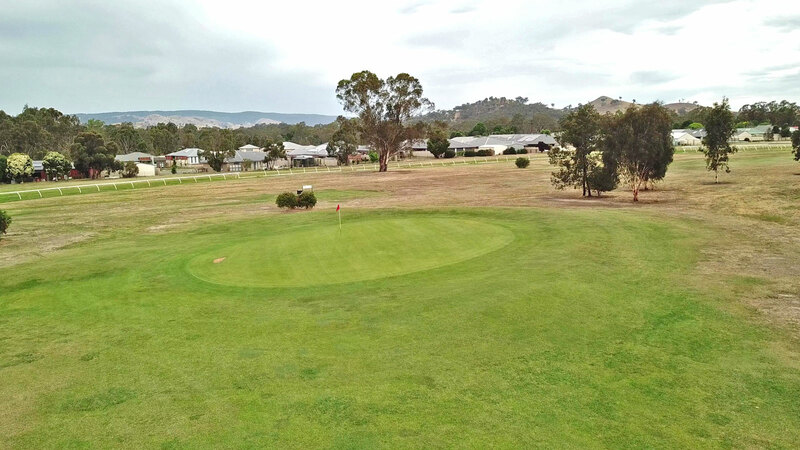 Driving from an elevated position always tempts golfers to put in an extra effort, doesn’t it? Well, it sometimes works! 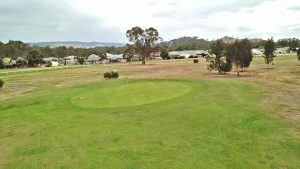 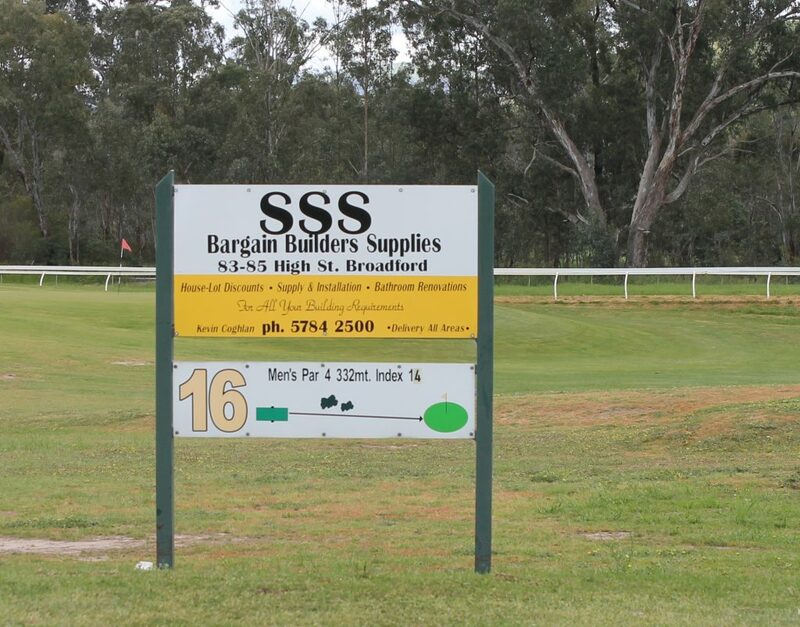 The 16th is proudly sponsored by SSS Bargain Builder Supplies in Broadford.